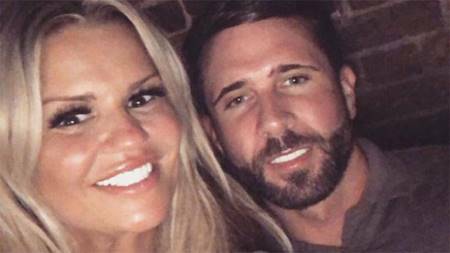 Kerry Katona rekindles her romance with former boyfriend Ryan Mahoney. It appears that reality star Kerry Katona recently resumed her relationship with her former love partner Ryan Mahoney. Just a few months after ending their relationship in October last year, the two rekindled their relationship again and are secretly dating, sources tell The Sun. Despite being caught up with filming Celebs Go Dating, the 38 years old reality star got back together with her ex. Only in October last year, the pair ended their chemistry and parted their ways, both of them accepting they could not see a future of them being together. But, the source close to Kerry said to the publication that she has been spending a lot of time with Ryan and apparently even thinks he is the one for her. "They haven’t exactly been discrete about keeping their relationship under wraps as Ryan was spotted at Kerry’s house and even driving her car last week." The mother of five claims she got back to the show to hunt down new romance and find her children a new father. As a matter of fact, Katona even joked that she would get her breast out if she gets a new potential man from the show. Not pleased with her mother jokes, Kerry's eldest daughter Molly Marie McFadden says she won't be happy with mother sticking tongues to men on TV. "My Molly said ‘mum, by all means do the show but if you put your tongue down anyone’s throat I will never speak to you again.’"
However, the reality star is concerned with what other kids would say to her own on the matter. "I wouldn’t do it to them. The kids have got enough stick over my past. I wouldn’t do it to them – on camera. I didn’t say I wouldn’t get my t*ts out though." During the filming for her current show, Kerry recently said in an interview that she has only been to like three dates to meet the potential new father for her kids. Kerry divorced from her husband George Kay in 2017 after being married for three years. The former couple shares one child together; Dylan-Jorge Kay. Before being separated from George, the star was linked to Mark Croft with whom she shares two kids; Heidi Elizabeth Croft and Maxwell Mark Croft. However, her marriage to Croft was her second one, as she previously got married to Brian McFadden, the father of her two eldest daughters Molly and Lilly-Sue McFadden.